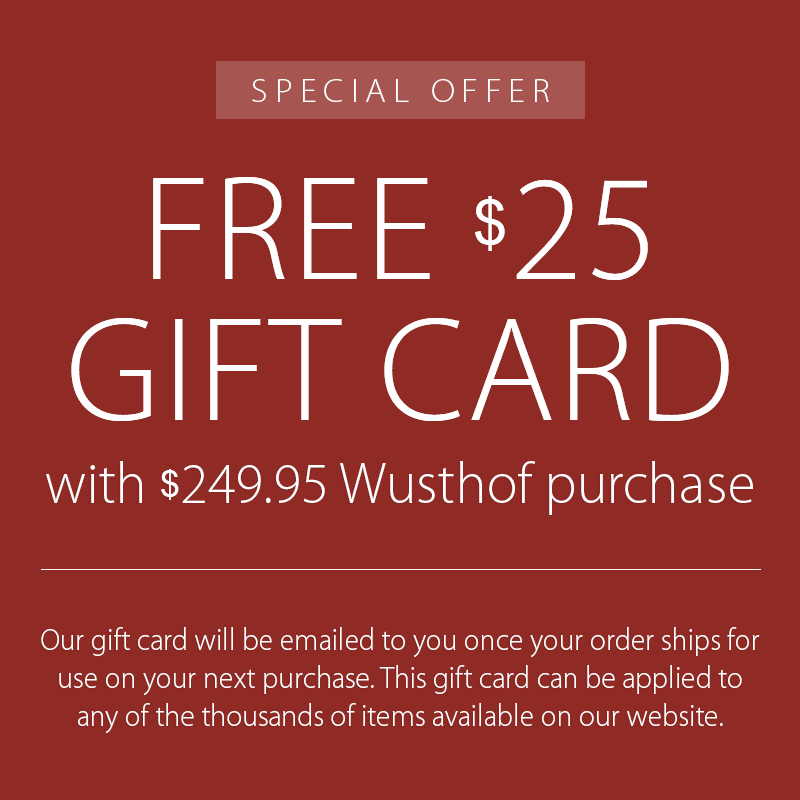 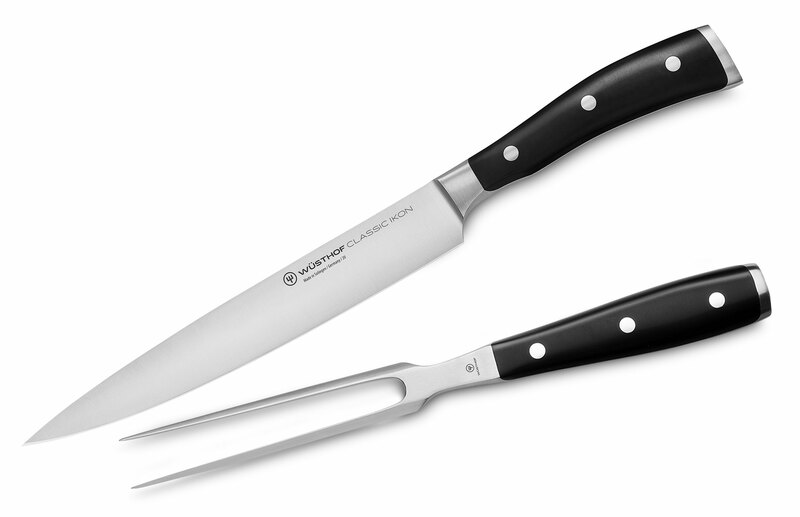 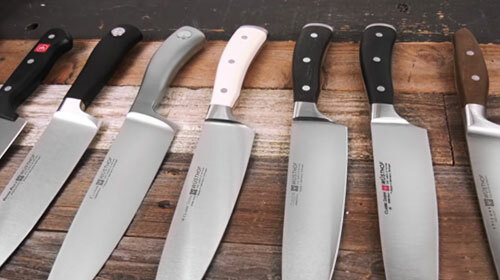 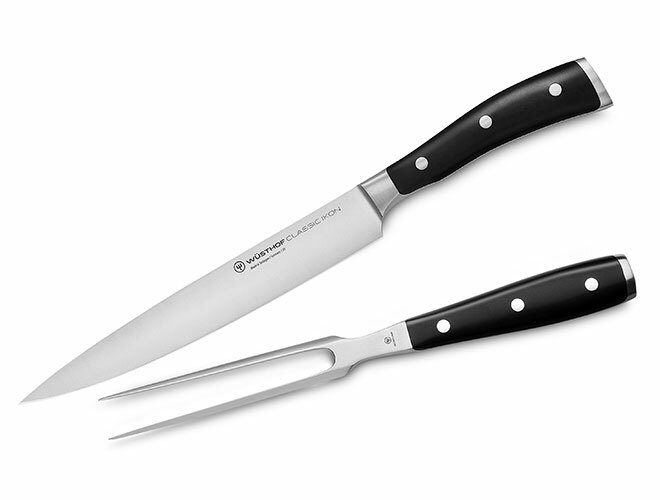 The Wusthof Carving Set is perfect for carving large meats, such as turkeys, roasts or ham. 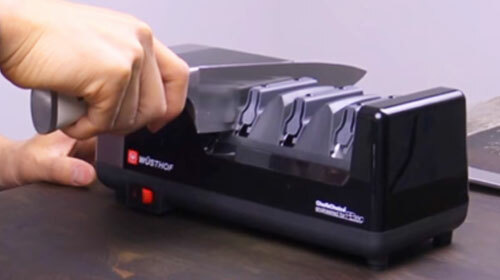 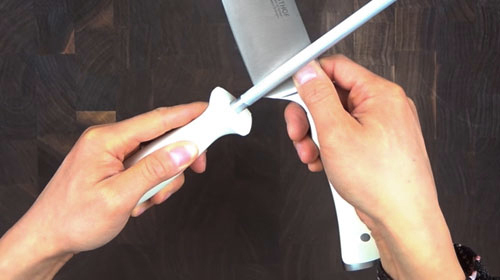 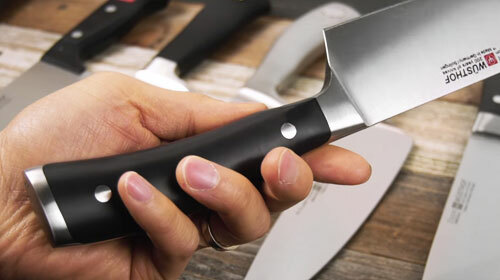 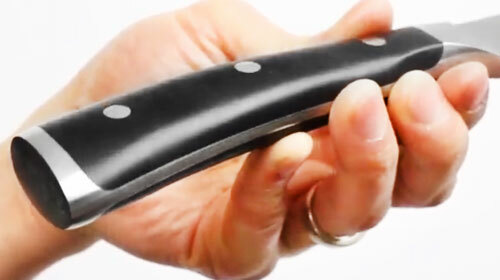 It features a straight edge which eliminates shredding as you slice your meat. 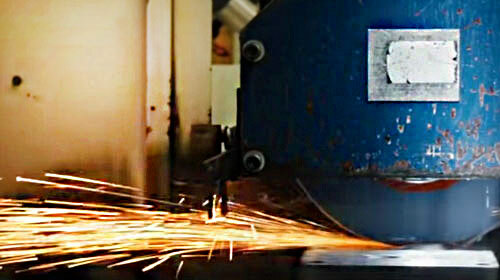 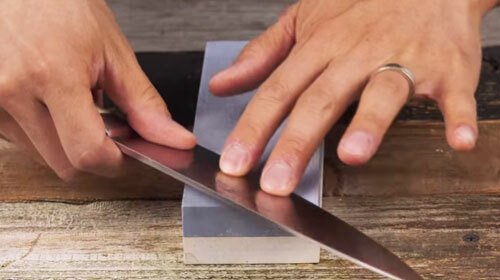 The excellent balance of the knife allows for a smooth, clean cut.